Suitable for fans of total bets. 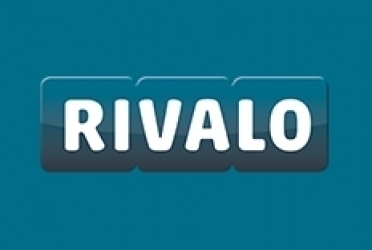 Rivalo is a new player in the market of bookmakers orienting to the markets of Turkey and Europe. It is founded in 2013. The sportsbook Rivalo is a trademark of the company 247SportsInteractive B.V. registered and licensed in Curacao with the number 128642 that gives rights to offer bookmaking and online casino services. The site Rivalo has accurately detailed interface and easy navigation. It has very simple and nice design. Rivalo has huge plans and the company, of course, guarantees such matter-of-course things as high level of confidence and operability in searching the solution for arisen questions. No doubt that this company will conquer the European market more perceptibly in the nearest future. Rivalo offers several dozen of sports by paying special attention of course to soccer which has approximately 90% of bet offerings devoted to. The bets can be placed for games in soccer leagues from practically every country in the world. Considering that the office is new it is important that it has attractive odds - so called bookmakers margin or the percent withheld by the bookmaker in soccer is only 4.3%. In other kinds of sports the margins are more high-yielding (6-8%); however they are commensurable with other offices in the market. The minimal bet at Rivalo is one euro. The standard offering in Live betting has nothing to differ it from other rivals. Rivalo offers the bonus of the first deposit up to EUR 100. To get it follow this link.